Flavoursphere for Omnisphere 1 & 2 by Patch Hut is Soundware (e.g. samples or presets that load into other products). NOW AVAILABLE free IN OUR MEMBERS AREA. REGISTER AND SUBSCRIBE TO GAIN ACCESS TO THE MEMBERS free STUFF PAGE. 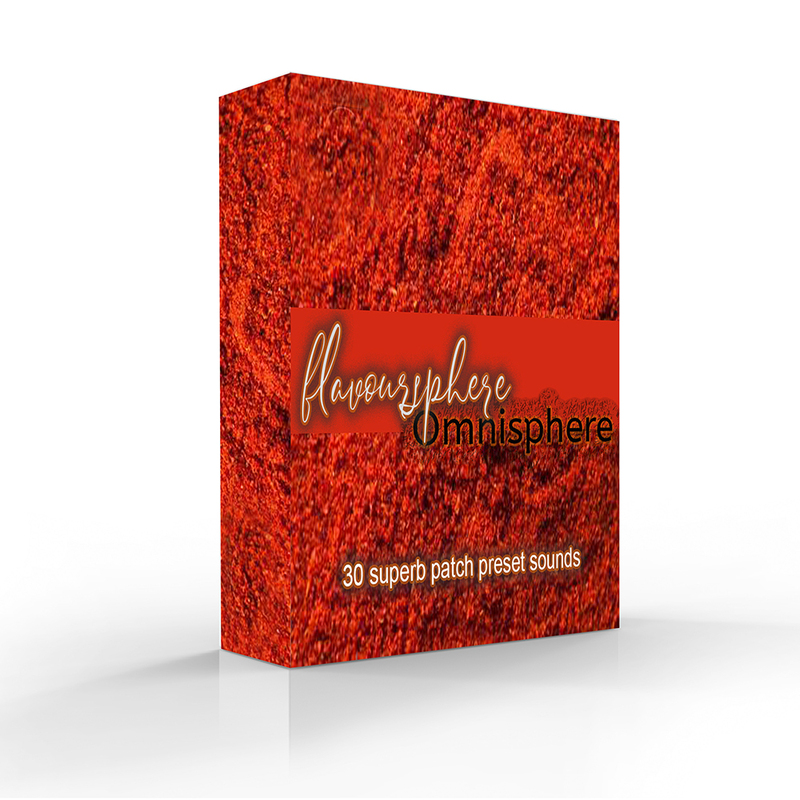 30 great new patch presets and 6 Multi's for Spectrasonics Omnisphere, ranging from big synths to rhythmic patterns and arpeggiated sounds, this library adds a complete new flavour to this much loved and amazing soft synth hence the name flavoursphere. This superb library tries not to discriminate against any one genre of music, but will truly inspire you to create something special what ever your musical tastes. This library wll work with both Omnisphere version 1 and 2.